your special event or function! Please give us a call. The African Village Kitchen-Cafe is an oasis of peace in the hectic modern concrete jungle... A place where you can sit down, relax, and just enjoy life... Whether for a few minutes, or for an hour or two. Senegal and Gambia are places where time has slowed down, and you can find the real joie de vivre! 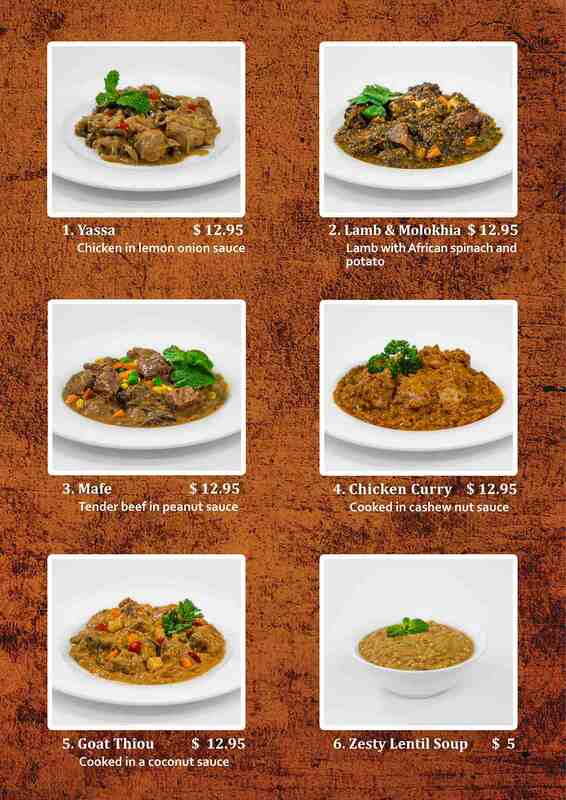 At the African Village Kitchen-Cafe, you too can experience this relaxed and peaceful vibe, for a part of your day. As far as we know, these are the only African donuts available in Melbourne! You owe it to yourself to try a delicious African donut today! "I always wanted to have a food business, because of my love of food, and I always wanted to have a kind of business that would connect me to more people. I've had many different kinds of businesses in my life time, but one time a friend came to me and told me about working together at Victoria Market, to operate a food stall. I accepted his offer. 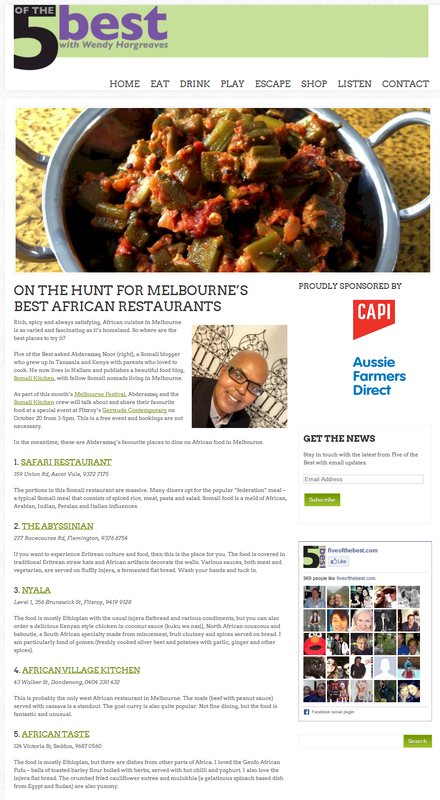 "I actually have been involved in being a restaurant chef in Melbourne since 1992. 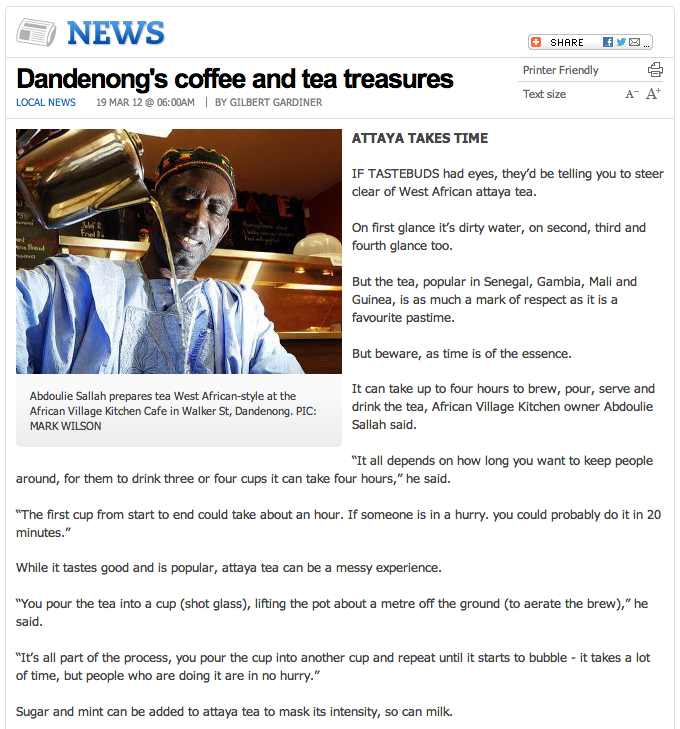 I used to cook in a restaurant on the corner of Toorak Road and Chapel Street, in Toorak. I also had a friend who had a restaurant on Commercial Rd, Prahran, then he moved to the city, and asked me to help him to cook in his restaurant. "After helping him with that, when this present opportunity arose, I decided to open my own restaurant. "Along the way I developed a lot of friendships with a lot of different people, with a love for humanity, and a love of food. "I have a belief that whatever we do in life, the biggest benefit we get out of it is our connection to other people - we do things for humanity, we do things for ourselves, and we do things for the sake of the world. "Now I'm enjoying it, and I've got, so far, a lot of friends, and we are very connected, and we all love food, and I hope that anybody who walks in the door and tastes it, will come back and recommend it to other people. 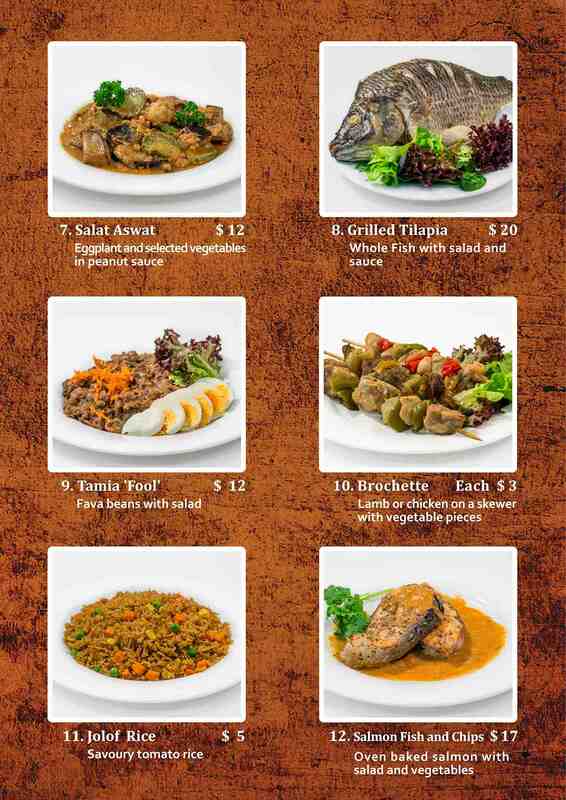 We'll continue to try our best to provide the best cuisine, with the best service, and the best friendly environment." 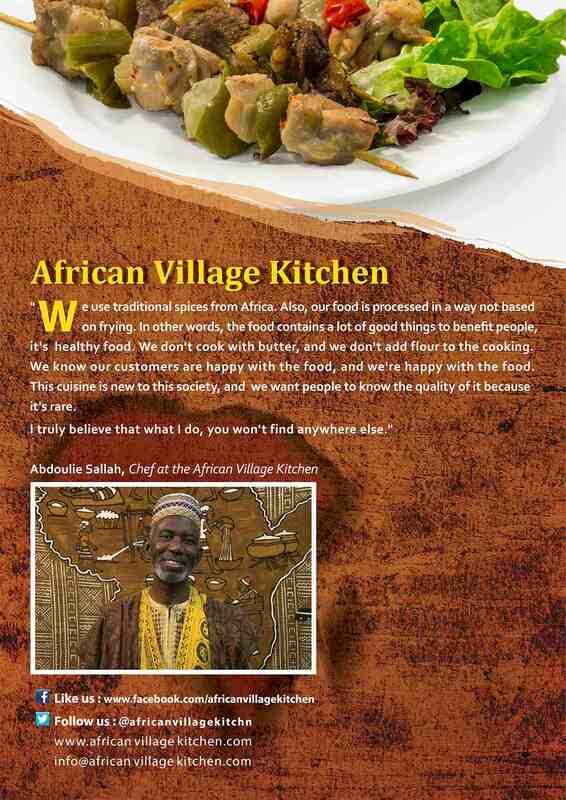 The African Village Kitchen-Cafe is a realisation of the dream of chef and proprietor, Abdoulie Sallah... A place where people can come, relax, and feel welcome, and experience some genuine Senegalese and Gambian hospitality. Abdoulie was born in Senegal (the home of Africa's most famous musician and singer, Youssou N'Dour), and his parents moved to The Gambia when he was very young. He's made Australia his home now for over 20 years. 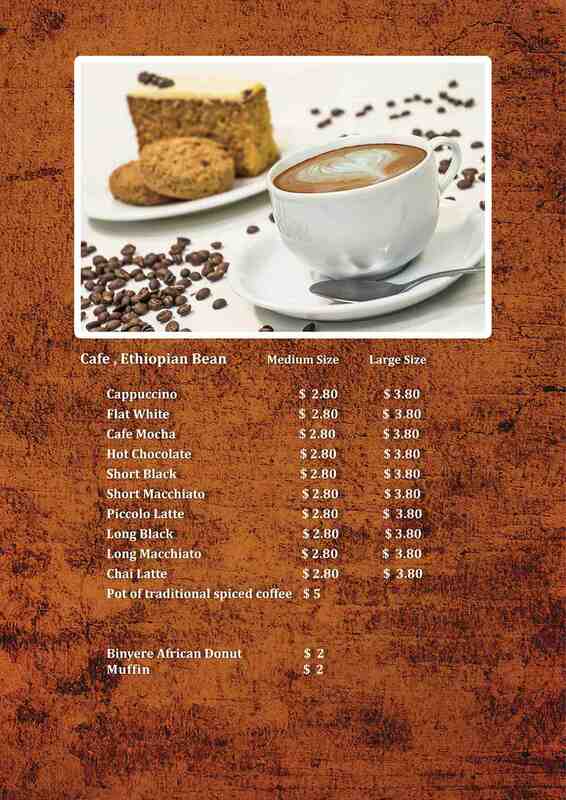 Come and visit the African Village Kitchen-Cafe today!